Terry J. Aspray, M.D., from Newcastle University in the United Kingdom, and colleagues used dual-energy X-ray absorptiometry to evaluate the effect of vitamin D supplementation on bone mineral density (BMD) at the hip. Participants (379 adults; 48 percent women; mean age, 75 years) were randomly assigned to one of three doses of vitamin D3 (12,000 international units [IU], 24,000 IU, or 48,000 IU) given once a month. 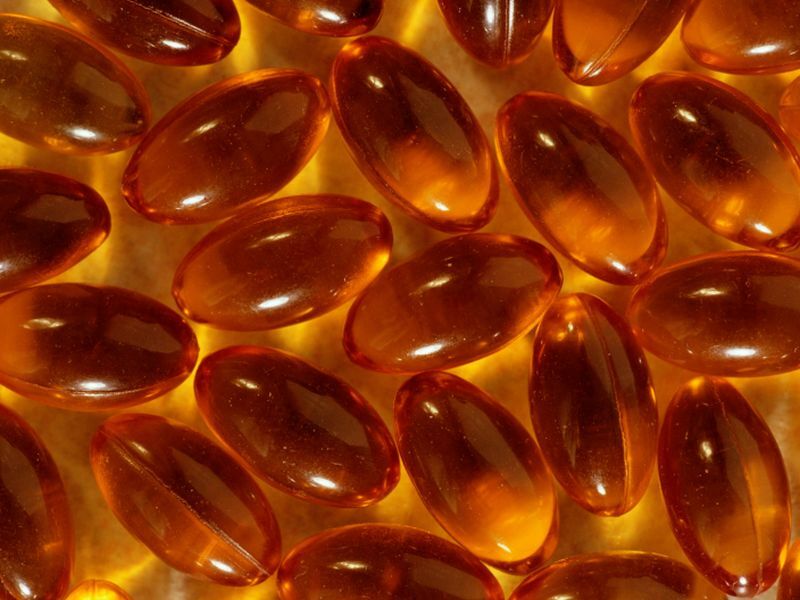 The researchers found that mean baseline plasma 25-hydroxyvitamin D (25[OH]D) concentration was 40 nmol/L, which increased after 12 months to a mean 25(OH)D of 55.9, 64.6, and 79 nmol/L for participants receiving a monthly dose of 12,000, 24,000, and 48,000 IU, respectively. There were no significant between-group differences in change in BMD. In all three groups, parathyroid hormone concentrations decreased, with a significantly greater decrease in the 48,000-IU group versus the 12,000-IU group. There were no differences in adverse events between the groups, with three cases of hypercalcemia and 249 falls reported. "While our findings do not support evidence of the benefit of high-dose vitamin D supplements, at least on bone mineral density, we do, however, identify that higher doses of the vitamin may have beneficial effects on bone metabolism and that they are safe for older people," Aspray said in a statement. "There is little benefit to taking more than 10 µg a day."